Corn Meal Agar is used for the cultivation of fungi and the demonstration of chlamydospore production. Infusion from Corn Meal is the source of carbon, nitrogen and vitamins required for organism growth in Corn Meal Agar. Agar is the solidifying agent. 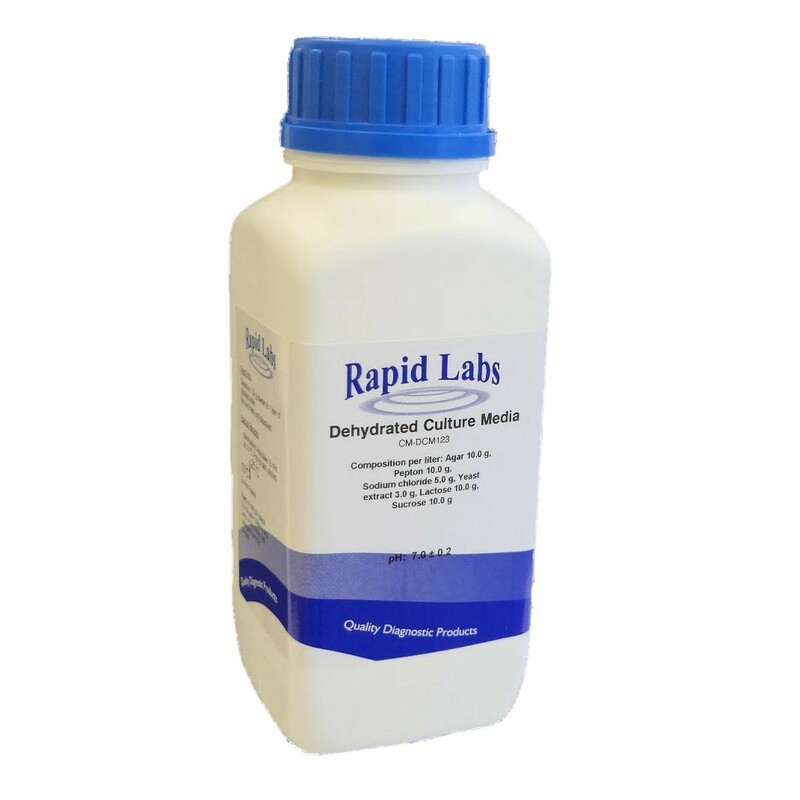 Add 17.0 grams of dehydrated culture medium to 1 litre of distilled water. Heat with repeated stirring and boil for one minute to dissolve completely. Autoclave at 121oC for 15 minutes. Ready to use medium: grey to yellowish white moderately hazy. Dehydrated medium should be stored between 10 to 25oC. Once opened, place the container in a dark, dry place. The dehydrated medium should not be used if there is any lump or if the colour has changed from the original.